Narrator: What would you do if you knew you only had one day, or one week, or one month to live? Doctor: I'm afraid it's not great news. We've picked up cancerous cells in your blood, your liver, and your lymph nodes. We need to get you into treatment right away. Ben Tyler: How bad is it? Ben Tyler: How many stages are there? 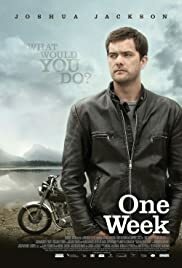 One Week is the movie that I've been waiting for my whole life. Michael McGowan has created a beautiful piece of Canadian art. The style is very reminiscent of great artists like Bruce McDonald and Don McKellar. This film certainly pulled at my heart strings having been to most of the places in this film. 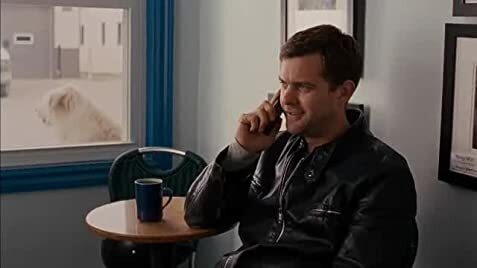 As well, Joshua Jackson's performance was stellar. I feel so lucky that my wife and I had the pleasure of viewing this film on opening night which received quite a reception and was topped off with a standing ovation. I've never clapped at a movie before.